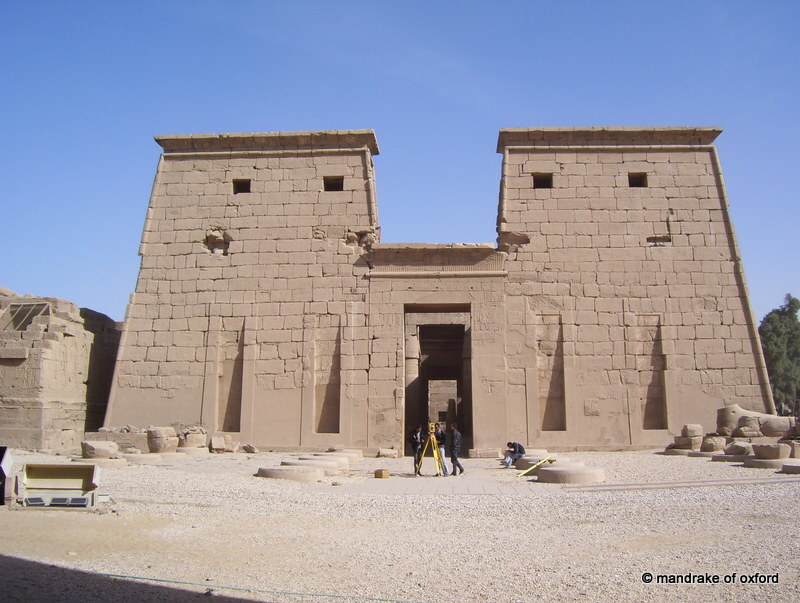 Move through the temenos and towards the eastern front end of the temple proper, the massive stone built pylons forming an ornamental gateway in the Egyptian temple style. The wooden doors of the temple are shut. This is not the normal way to enter the temple, these are ceremonial doors, and are only used on special festival occasions, when the images of the gods inside are brought out through them and paraded on special boats. There are several other entrances into the temple, depending upon your status and experience. But before moving on, take a good look at the face of the pylons. 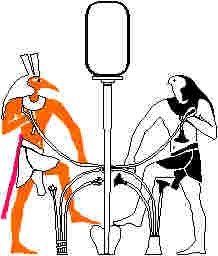 The pylons grab your attention and were decorated with important scenes – would have shown Sety fulfilling his divine duty – repelling Egypt’s enemies, dispensing justice, worshiping the gods and maintaining helping maintain society equipoise. He might also be shown reconciling the conflicting forces that exist in any healthy society. These opposing principles are reconciled in the temple. You also see colossal sculptures of the gods, representing similar principles, perhaps male and female, spirit and matter, dark and light.